This approach allows them to work with individuals to address nutritional balance and help support the body towards maintaining health. Nutritional therapy is recognised as a complementary medicine and is relevant for individuals with chronic conditions, as well as those looking for support to enhance their health and wellbeing. 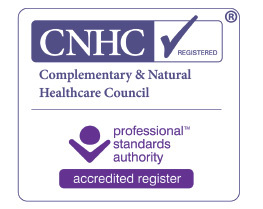 Standards of professional practice in Nutritional Therapy are governed by the CHNC Code of Conduct. If I am receiving treatment from my GP, or any other medical provider, I should tell her about any nutritional strategy provided by a nutritional therapist. This is necessary because of any possible reaction between medication and the nutritional programme. It is important that you inform The Italian Nutritionist about any medical diagnosis, medication, herbal medicine, or food supplements, you are taking as this may affect the nutritional programme. If I am unclear about the agreed nutritional therapy programme/food supplement doses/time period, I should contact The Italian Nutritionist promptly for clarification. I must contact The Italian Nutritionist should I wish to continue any specified supplement programme for longer than the original agreed period, to avoid any potential adverse reactions. Recording consultations using any form of electronic media is not allowed without the written permission of both The Italian Nutritional Therapist and the Client. The Nutritional Therapy Questionnaire provided, must be returned via email at least 3 days before the consultation, in order to allow its analysis, and appropriate research. Failure to do so, might result in the booked consultation being focused on analysing the questionnaire and an additional first consultation might be required. Payment for consultations, packages or extra services must be made upon booking. Consultations can be cancelled up to 48hrs before the date booked for full refund. Failure in cancelling the appointment 48hrs before, will incur in full payment of the consultation.